Well maintained and ready to move in family home on a cul-de-sac with a spacious back yard! 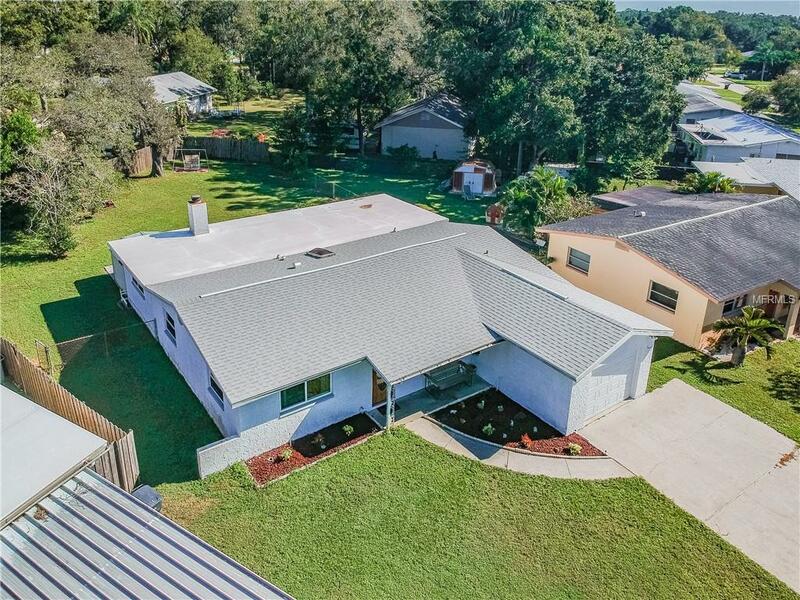 Fantastic central Pinellas location! Includes a separate and large family room with a wood burning stone fireplace! A great layout for entertaining or an evening home in front of the fireplace. Includes a separate office with a built in work space! Newly remodeled master bathroom! A skylight in the kitchen brings in soothing natural light. Inside laundry room with newer washer and dryer upgrades! Vertical blinds throughout. Neutral paint and tile floors in every room. New roof! New garage door! Newer HVAC system! Transferrable termite protection plan! Sprinkler system! This property is sparkling clean and owner pride is evident throughout. This property (split plan layout) boasts 3 bedrooms, 2 baths, living room, family room, office, inside laundry, one car garage, and a bright and open kitchen. Great access to the back yard via double glass doors that open to a large porch area. A large storage shed takes care of any extra needs for extra space.